If it looks to good to be true..it might be. 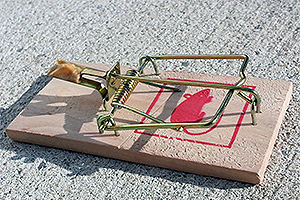 One of the most common pitfalls in dividend investing is whats commonly referred to as a "Dividend Trap". A dividend trap is a high to extremely high dividend yield that cannot be sustained. When a company is paying out 10 to 200% of it's current stock price, something has to give. Let's take a look at a fictional company called Top Oil. Top Oil's stock was valued at $30 per share and it paid out .37 per share quarterly or $1.48 annually. This means Top Oil has a dividend yield of 4.9%. A few years later the price of oil crashes and the stock looses value. Now the stock is valued at $5.00 a share, and the company is still paying out the same $1.48 per share. Making the dividend yield 29.6% an extremely high and risky dividend yield. Many people would be tempted to buy this stock in hopes that the price of oil would recover rapidly. This is risky business. Top Oil has 3 choices, it can lower it's dividend to a sustainable 2 to 5%, it can wait and hope that the price of oil will recover, or it can go bankrupt. Chances are that if you invest in a company like Top Oil, you are going to get burnt. In fact you might get burnt so bad you turn your back on dividend investing altogether. We don't want that. Please be careful when selecting companies, and don't make the dividend yield your primary factor in selecting a company. Instead choose a company with a long history of dividend payouts without decreasing payments. A company whos stock price is stable, and most importantly a company that makes a product you understand.